Thursday night sees a clash at Edgbaston between the two teams that contested last year’s T20 Final at the same venue. Both teams must know that defeat tonight will most likely spell the end of any lingering hopes of a return to Finals day in September. In the bottom half of the table, both have been consistent only in their inconsistency this year. Early on in the tournament, the Outlaws managed to win three consecutive games but, that run apart, both teams have managed to mix wins and losses with almost tedious regularity. Overall, the Bears look more powerful in batting than the Outlaws, whose strength lies in their bowling. The Bears have five players averaging over 30, all at healthy strike rates, whereas for the Outlaws Dan Christian’s average of 50.71 is almost twice as high as Billy Root, the next in the list. Harry Gurney and Ish Sodhu have taken 30 wickets between them for the Outlaws, at economy rates of under eight runs per over, and none of the regular bowlers go for more than nine an over. The Bears’ bowling is much more problematic. For sure, New Zealanders Grant Elliott and Jeetan Patel have 24 wickets at around eight an over; and Olly Stone’s recovered fitness is a big bonus. But the rest fail to inspire much confidence. Boyd Rankin, Colin de Grandhomme, Oliver Hannon-Dalby and Aaron Thomason have all gone for more than ten an over. 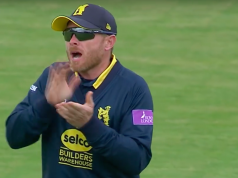 Do teams need a leg-spinner to be successful in the Blast? Opinion seems to be divided on the subject. The Bears say no, everyone else says yes.It could just be, therefore, that this match will turn (forgive the pun) on the contrasting attitude of the two sides to their leg-spinners. For the Oulaws, Ish Sodhu is an ever-present. His 16 wickets have cost 17.25 each; and his overs go for just 7.88 apiece. He is an obvious choice as key man for the Outlaws. 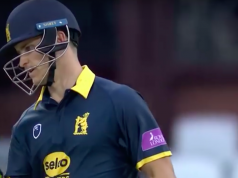 Fellow leg-spinner Josh Poysden is a key man for the Bears in the same way that, for Sherlock Holmes, the dog in the night was a vital piece of evidence. The dog was crucial because he didn’t bark, just as Josh Poysden is key because he hasn’t bowled. So if the Bears decide to go again with only one spinner, and leave Poysden once more on the sidelines, they will be testing to breaking point their theory that a leg-spinner isn’t needed in the Blast.If on the other hand Poysden at last gets a game, he will have the chance to prove what the Bears have been missing. The Bears will be without Chris Woakes, in the Test squad, and Henry Brookes, out for the season with a back problem. The Outlaws will be without Jake Ball but should have Alex Hales available, despite his entanglement in the Ben Stokes trial. Although the temperature will be down to the high teens, a fine evening is forecast. Pitches for the Blast at Edgbaston this year have largely been batsman friendly, so there should be plenty of runs on offer.